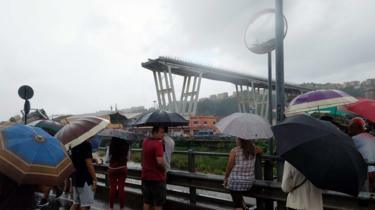 A motorway bridge has collapsed in the northwest Italian city of Genoa, killing at least 35 people as vehicles plummeted to the ground, emergency services say. Vehicles and debris fell 90m (295ft) on to rail tracks, buildings and a river. Some 200 firefighters are working at the scene, Interior Minister Matteo Salvini said. Transport Minister Danilo Toninelli spoke of an “immense tragedy” and France offered Italy its support. Shares in Atlantia, the toll road operator which runs much of the country’s motorways, fell 6.3% after news of the collapse. How did the structure collapse? 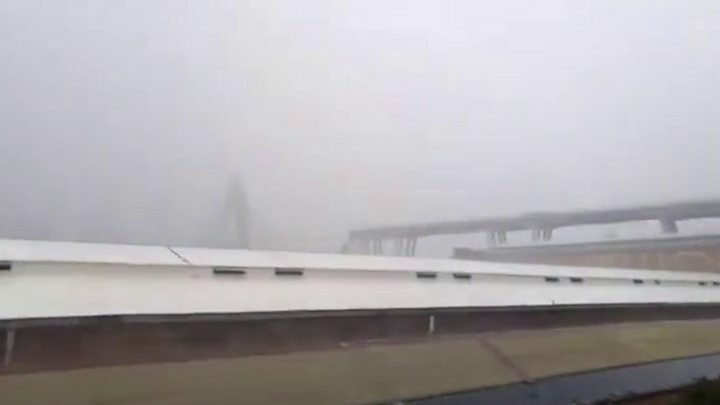 It fell around 11:30 local time (09:30 GMT) during heavy rain. Police reported a violent cloudburst. Another witness, unnamed, recalled: “We heard an incredible roar and first we thought it was thunder very close by.